Olly Alexander has admitted he hated filming 'The Riot Club' because it was "so hot." Olly Alexander found it a "horrible experience" filming 'The Riot Club'. 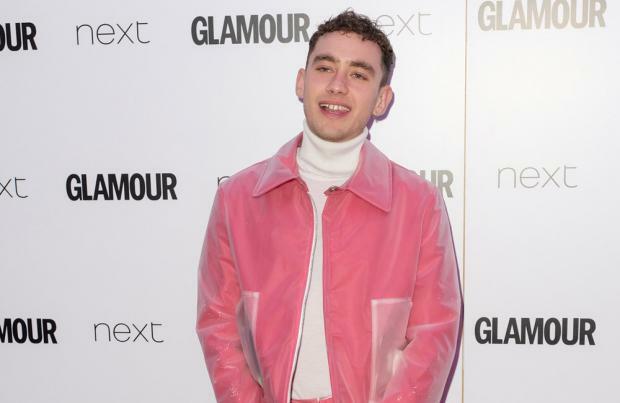 The Years & Years frontman launched his career as an actor before he fell into singing but he has admitted he'll never forget the 2014 film - in which he played Toby Maitland - because he found the set really "hot" and his co stars to be egotistic. Speaking on Radio 2, he said of the flick: "It was actually quite a horrible experience filming it, only because it was so hot and we were wearing really, really fancy white tie. And I've never been in an environment with that many men sort of trying to out-shine each other and it felt a bit like... I don't know, it was a bizarre environment." After he joined the band, the 27-year-old star used his first record advance to pay to have his left ear pinned - and he has admitted it's a procedure that changed his life. He said: "I was almost embarrassed by how overwhelmingly confident I was afterwards. I thought, 'God, is it really that simple?' I had this weird moment ...did I not love myself enough to just keep the face I was given?" Olly has become a popular figure on social media over recent years. But the 'Sanctify' hitmaker thinks his fans would be surprised to see the difference between his confident online persona and his real-life self. Asked whether his popularity on social media serves to pave over his insecurities, he confessed: "That all felt terrifying, to be honest. It felt entirely possible that my real self would be a huge disappointment to all these people who were putting me on a pedestal. And if I met anyone who knew me online ... it would be so horrifying. They think you're one thing but you feel so far away from that. And then I would have these thoughts about people making judgements on me or my personal life, who my ex-boyfriends were. I had a negative reaction to it."